Yaron just posted a really nice build of the Ceasarea Amphitheatre. I really like the archwork on the front facade. 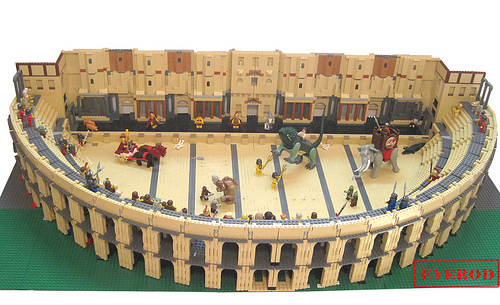 Though the builder populated the arena floor with fantasy creatures, this is an ancient Roman amphitheatre in Israel that is still in use today.